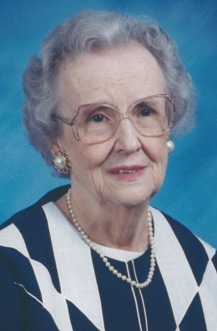 Mrs. Alta C. (Sparks) Crawley of Campbellsville passed away on Saturday, January 26, 2019 at the Summit Manor Nursing Home, being 92 years, 2 months, and 15 days of age. She was born in Cumberland County on November 11, 1926 to the late Talmage and Bobie (Traylor) Sparks. Mrs. Crawley had made a profession of faith in Christ and was a member of St. Mark United Methodist Church. As a young lady, she met and fell in love with Mr. Herman Crawley, and they married on December 28, 1946. They remained a devoted couple until his death in 1990. She enjoyed quilting and gardening, and was a children's Sunday School teacher along with Laverne Stone for over 40 years at her church. And several extended family members and close friends. She was also preceded in death by two brothers, Preston Sparks and Howard Sparks; a sister, Maxine Cole; and a daughter-in-law, Laura Jo Buckles. There will be a funeral service to honor the life of Mrs. Crawley on Tuesday, January 29, 2019 at 1:00 PM in the chapel of the L.R. Petty Funeral Home, 1765 New Columbia Rd, Campbellsville, KY. Bro. Tony Franklin will be officiating. Burial will follow in the Campbellsville Memorial Gardens Cemetery, 3878 Greensburg Rd, Campbellsville, KY. The family will receive friends on Tuesday, January 29, from 10:00 AM until time for the service. Jason Grider, Bailey Grider, Brent Grider, Brandon Bibelhauser, John Benningfield, and Barry Parsons will serve as pallbearers.